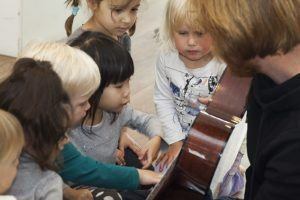 What makes HDO Kindercampus Zuidas so special? 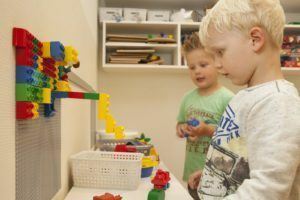 At half-day care Children’s Campus Zuidas we have a toddler-care group, also called ‘preschool’. The group’s name is Sky and applies to children aged between 2 and 4. The Sky Group is open between 8:00 and 13:00 hrs. For educational purposes, we place children in this toddler school for a minimum of two mornings a week. We believe it’s important that your child visits this type of care at least twice a week to enable your child to become really familiar with the staff, the other children, the daily programme and the rituals. We are often asked the following question by parents who wish to use toddler care: what will be my monthly fees? The answer is: this depends on the type of placement you wish to use as we offer three different types. 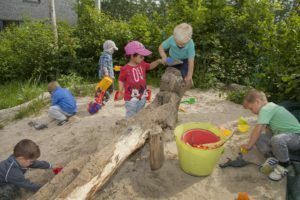 Some children in the ages between 2.5 and 4 will receive a ‘preschool referral’ from the child health-care centre. In that case your child may visit preschool for a minimum of 2 days a week, which is equal to 10 hours. The Amsterdam city council subsidises placements based on income according to the applicable National government table, a minimum of 400 hours and a maximum of 600 hours per year. On the Amsterdam city council website there is more information available regarding this allowance and a cost calculator. The Amsterdam city council subsidises childcare, including when there is no early referral, income support or child-care allowance, this is however based on income according to the applicable National government table, with a maximum of €7,45, a minimum of 400 hours and a maximum of 600 hours per year. On the Amsterdam city council website there is more information available regarding this allowance and a cost calculator. For this place you will receive an allowance from the government, which is called child-care allowance. You are entitled to a child-care allowance when both you and your partner are working or studying. The allowance is dependent on the least number of hours worked by you or your partner and subject to your gross family income. Application for this allowance is done at the Tax Authority website. Would you like to know how this works out for you? Go to our website www.kinderrijk.nl and use the calculation tool to calculate your fee. Do you have any further questions? Please do not hesitate to call or mail the staff at the customer-relations department on 020 – 426 08 66 or at klantrelaties@kinderrijk.nl.